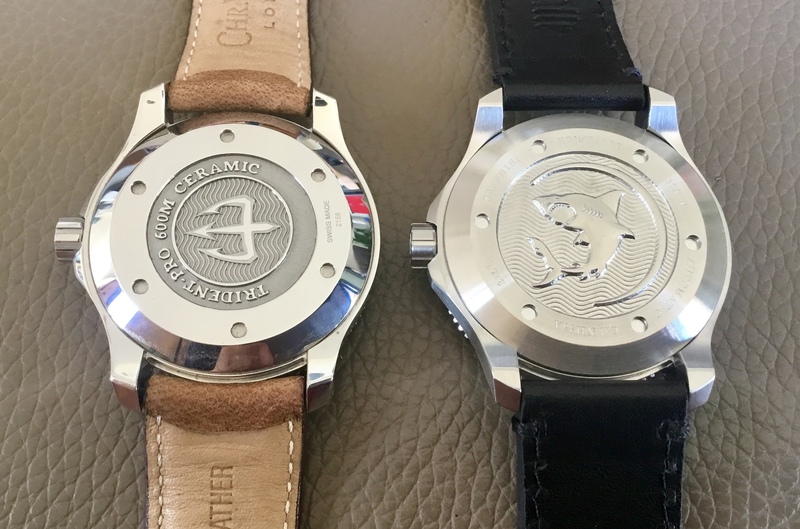 First of all, CW watches and movements are built/finished in Switzerland. CW has used nothing but Swiss movements regardless of whether quartz or mechanical since inception. Second...for someone who entered this place saying they were hooked on CW, I fail to understand your negative offensive on the company. Third... I think a cooling off period is required. 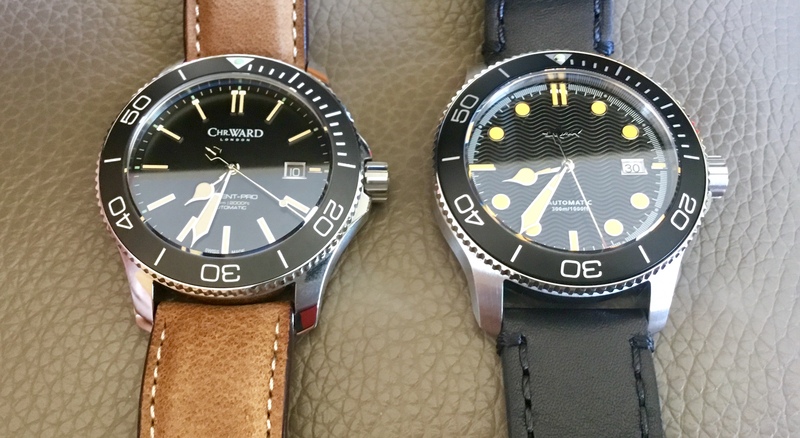 Fourth.... although I will consider the OP's watch a homage, there is a reason that fakes/replicas are not allowed discussions here. The way this topic went bears proof. Fifth.... although I am still working on the survey report, one of the things that the vast majority of people are tired of reading on this forum is negativity about a variety of things. Constructive criticism is okay, but the kind of crap thrown about in this topic stops now. The knock off is a fake, whereas the homard is a Lobster! Still does bring to mind a meal on holiday, when my brother in law ordered a lobster and received a crayfish. In many parts of the world a crayfish is a lobster, assuming you mean a big rock lobster or spiny lobster (the ones without claws) and not the tiny little fresh water things you get in New Orleans. I remember being in Fremantle in WA, at a place called Joe’s Fish Shack, whether they were terrific value, grilled, butter, salad. Mmmm mmmmm. Mine has arrived and I’ll give a very quick summary here - I’ll do a longer and more detailed run through in a couple of days, as I’m busy at the moment. I’ll compare measurements with a set of digital calipers etc, and I plan to see if a trident bracelet will fit the case. Looking forward to your thoughts in a couple of days. Thanks. These homage/knockoffs or whatever are good value until they fail. Either because there's some debris inside the case or because they let water in because of a pinched gasket, or any other reason. And then you're on your own, with a watch that is not economically worth fixing. The way I see it, these companies that show so little respect for other companies' designs and efforts, usually show the same level of respect for the product they make. I'd rather spend that (or maybe not much more) on an actual Seiko. A brand with a well deserved reputation and an identity of their own. For me, that's much better value. gaf1958 wrote: Mine has arrived and I’ll give a very quick summary here - I’ll do a longer and more detailed run through in a couple of days, as I’m busy at the moment. I’ll compare measurements with a set of digital calipers etc, and I plan to see if a trident bracelet will fit the case. I tend to disagree, anyone who mods watches would be able to swap out a NH35 movement for just $30. Plus the NH35/36 and 4R35/35 are the work horse movements for Seiko and and dozens if not hundreds of micro brands.